Juice Bar was our first ever consumer client. 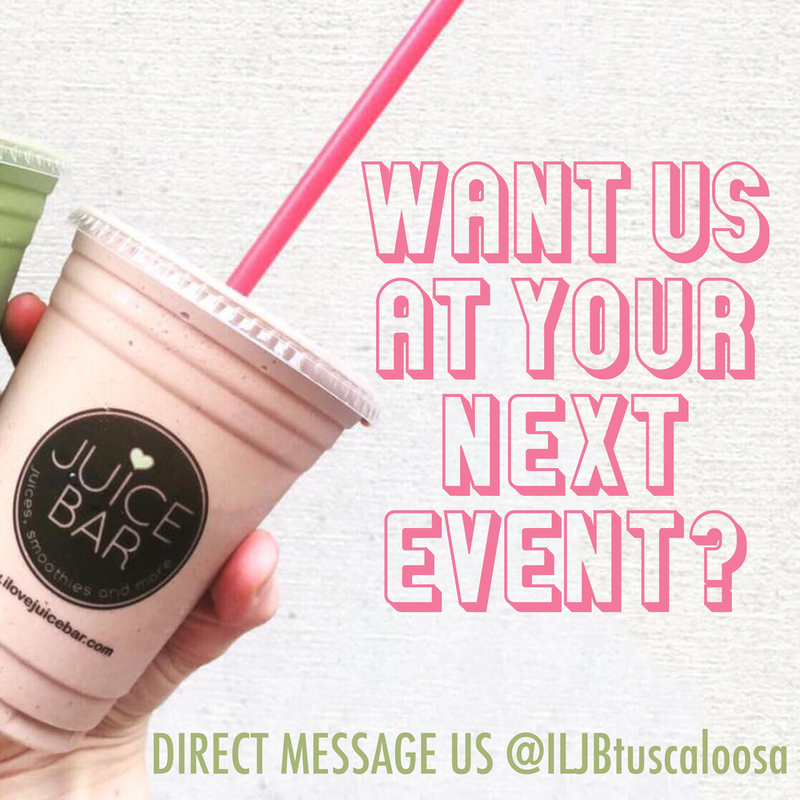 They are a healthy alternative to food in Tuscaloosa with juices, acai bowls, smoothies and more! Our team worked in a brand ambassador position to increase awareness and social media engagement. We got this client approved for Bama Cash, Pocket Points and Hooked. There was strong campus outreach through sorority house visits and also community outreach through different 5k and 10k races. Through our work, the Juice Bar social media presencealmost tripled on Facebook, Twitter and Instagram.